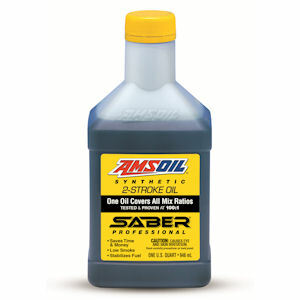 Amsoil has reformulated its SABER Professional Synthetic 2-Stroke Oil. This product enables users to mix the product at any ratio they want, up to 100:1, for a combination of convenience, savings and protection, the company says. SABER Professional is designed for hot-operating two-stroke engines, effectively fighting carbon/deposit formation and preventing ring sticking. Its synthetic formulation burns clean, passing the industry-standard smoke test at the standard rich mix ratio. When mixed at the SABER Ratio, smoke is virtually undetectable. It also provides the additional benefit of fuel stabilization to help prevent fuel from deteriorating during storage and causing poor engine performance. There is no need to add an additional fuel stabilizer when putting equipment into seasonal storage.